Specialized says the new Venge is the stiffest, most aerodynamic bike they have ever made. On the lead-up to the start of the Tour de France this weekend, Specialized has unveiled the new Specialized S-Works Venge. 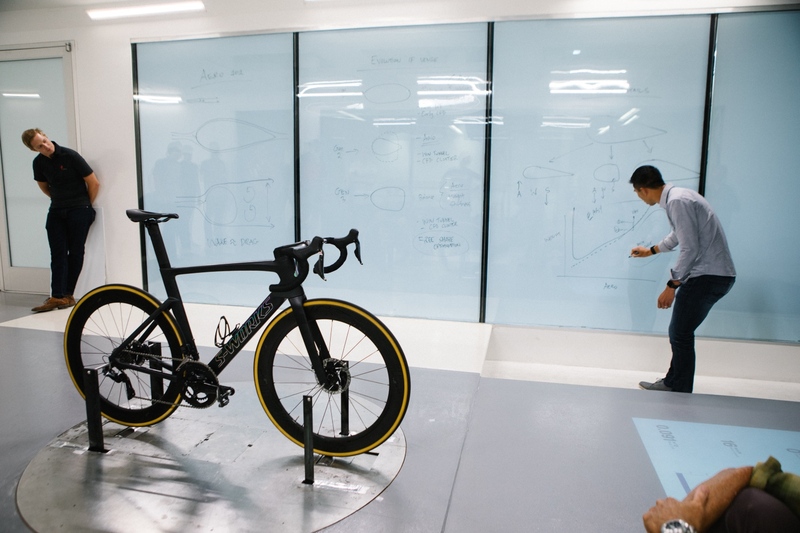 Top line highlights include a Rider-First Engineered FACT 11r frame design that the bike maker says is the stiffest, most aerodynamic bike they have ever made. The Specialized S-Works Venge is also disc brake specific and has an updated handlebar and stem combo that makes stem swaps and on-the-fly adjustments easier. The new S-Works Aerofly II cockpit helps the bike cheat the wind. 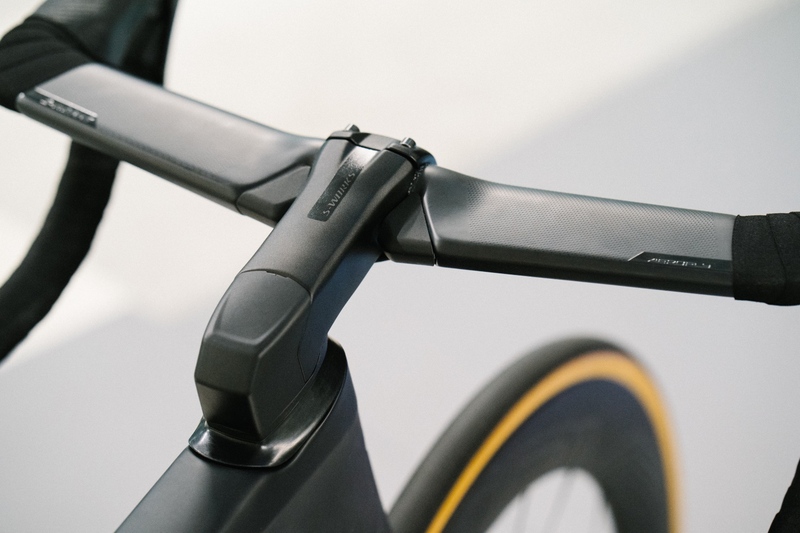 The new S-Works Aerofly II cockpit takes its shape from Specialized’s FreeFoil Shape Library, and when combined with the new stem’s dropped handlebar clamp, they say they were able to design the fastest cockpit on the road. Cables are hidden underneath the stem and are blocked from the wind by the handlebars. The headset spacers, meanwhile, make a seamless transition from the head tube to the stem. And through their pro team collaborations, the Venge cockpit has been made to be the stiffest it can be. Like all of their performance road bikes, the new Venge has dropped seatstays primarily because they do wonders for aerodynamics, says Specialized. Not only do they hide from the wind, but they also create more rear-end compliance. Meanwhile, the head tube and fork were important parts of the Rider First Engineered system, and that’s because front-end stiffness dictates handling. Too stiff on a small frame and the ride is twitchy. Not stiff enough on a large, and it’s a wet noodle. 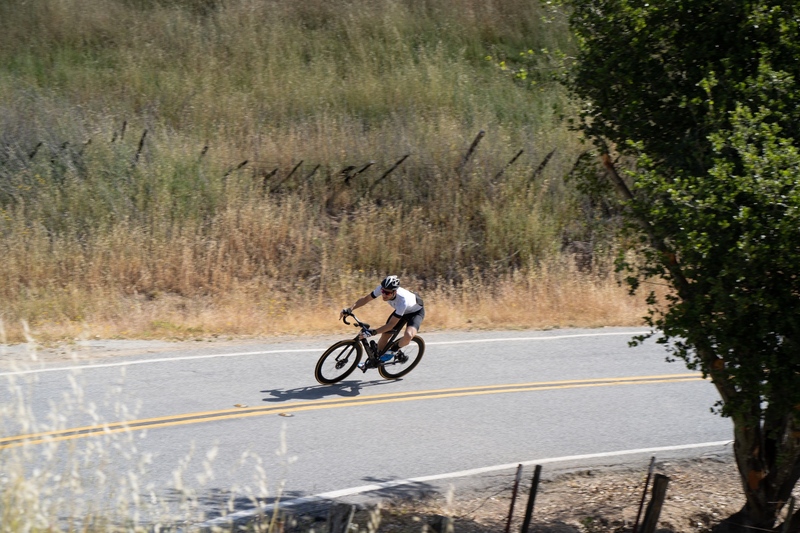 Specialized’s Rider-First approach is focused on optimization across each frame size, so the handling is consistently good no matter what size you ride. Consideration was also given to seat tube compliance. The new Venge is nearly 40% more compliant than the older Venge ViAS at the seat tube across every frame size. Specialized’s in-house wind tunnel was integral in development of the new bike. 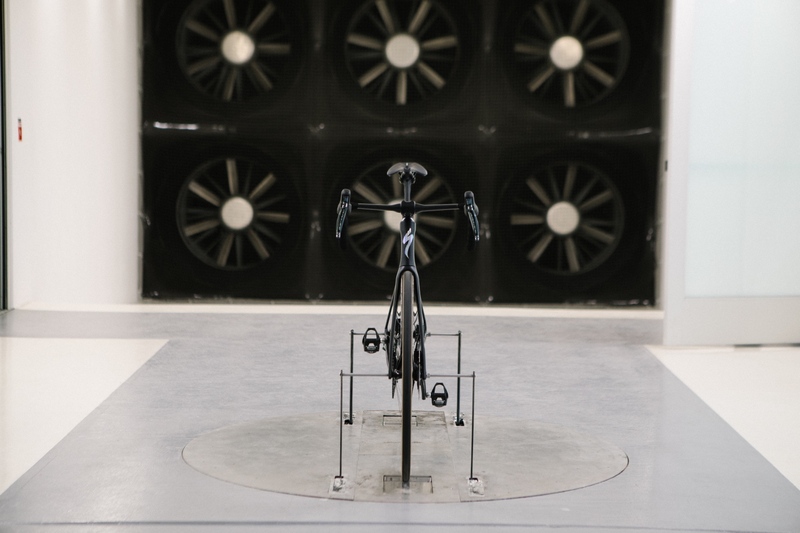 It all adds up to a bike that is 460 grams lighter and 8 seconds faster in certain wind tunnel simulations. 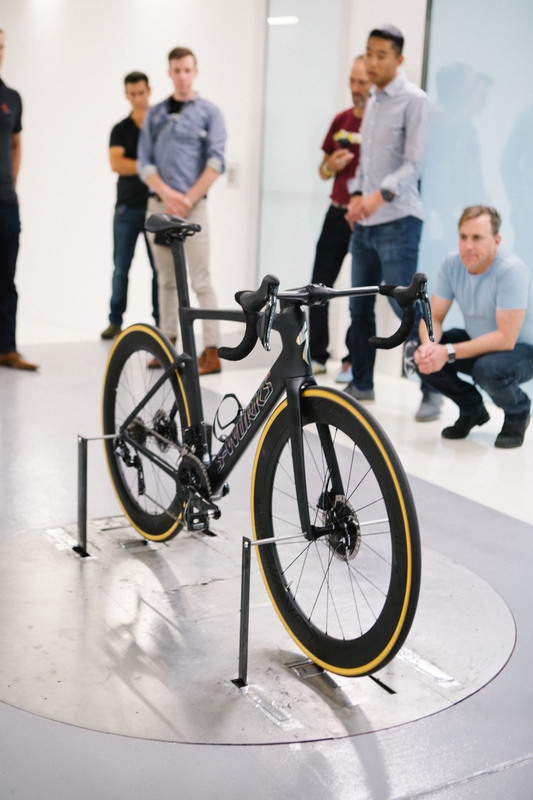 This was achieved in part via many hours of testing in Specialized’s in-house “Win” Tunnel, along with computational fluid dynamics, 3D printed prototyping, and by use of real world rider feedback from riders such as Peter Sagan. This attention to detail and endless input from ProTour athletes has resulted in the fastest bike Specialized has created. RoadBikeReview got in a quick test spin on the new bike near Big Red S HQ in Morgan Hill, California. The S-Works Venge is available with a Dura Ace Di2 electronic shifting drivetrain and a new S-Works-level 52/36 carbon fiber crankset with dual-sided power meter. Wheel spec is the Roval CLX 64, which Specialized says are the fastest wheels in its line-up and a top performer in a variety of wind conditions. The new bike is 460 grams lighter and 8 seconds faster in certain wind tunnel simulations than the Venge ViAS. The new Specialized S-Works Venge is available in sizes 41, 52, 54, 56, 58 and 61. Complete bike price is $12,500. The S-Works Venge frameset sells for $5500. Learn much more at www.specialized.com.